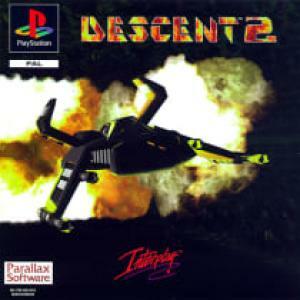 Descent II is a 1996 first-person shooter video game developed by Parallax Software and published by Interplay Productions. It is the second game in the Descent video game series and a sequel to Descent. Unlike standard first-person shooters, the player must control a flying ship that has a six degrees of freedom movement scheme, allowing the player to move in any 3D direction. The original soundtrack features industrial metal contributed by notable musicians such as Type O Negative, Ogre and Mark Walk of Skinny Puppy, and Brian Luzietti. The game received very positive reviews from video game critics.